On the evening of Thursday 8th September our invited young arborists Joe Robson and David Hayward along with Jess and Steve from AA HQ had the pleasure of attending the residence of the Ambassador of the United States of America, Winfield House. The garden party and tour of the grounds were organised by Royal Horticultural Society, a key partner of the AA within the sector. 18 year old David is a second climber with ARB Approved Contractor TreeAbility. A talented climber, having finished 7th in this years 3ATC Novice category at ARB Show 2016, he aims to become crew leader or lead climber in the next few years. Joe, 23, has completed work experience across contracting, consultancy and with tree officers. He is 2 months into a postgraduate role at Westonbirt with the Forestry Commission and had already had a busy week after attending the 50th Conference at Keele University and, along with David, was thrilled to be part of the event. Steeped in diplomatic history, Winfield House is a horticultural oasis nestled in Regent’s park. The aim of the event was to celebrate the next generation of horticultural professionals and in line with the values of the AA, to inspire people to cultivate relationships with horticulture. Joe and David were able to enjoy a chat with Head Gardener and manager of the horticultural team at Winfield House, Stephen Crisp, who was pleased to see two enthusiastic young ambassadors of arboriculture in attendance. 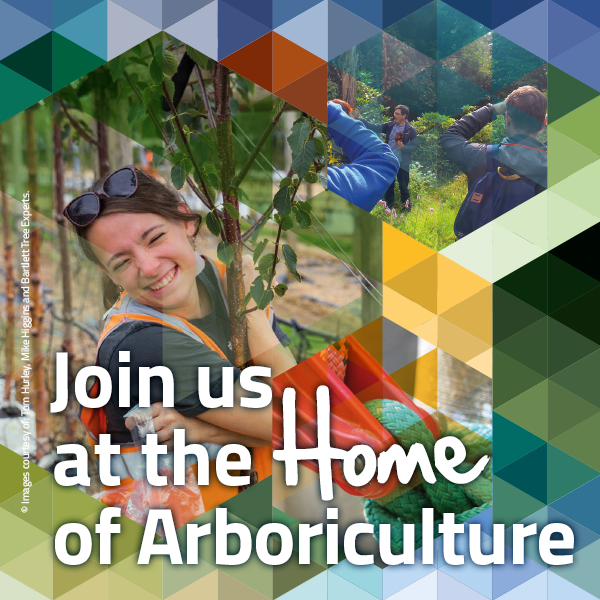 Whilst we’d have loved to have had more than the two invitations allocated for the visit, we’re constantly looking for similar opportunities and developing new ways to promote inspirational young arb professionals to the sector and wider public. Thanks to the RHS for organising the event and continuing to recognise the importance of cross sector collaboration and of inspiring future generations.